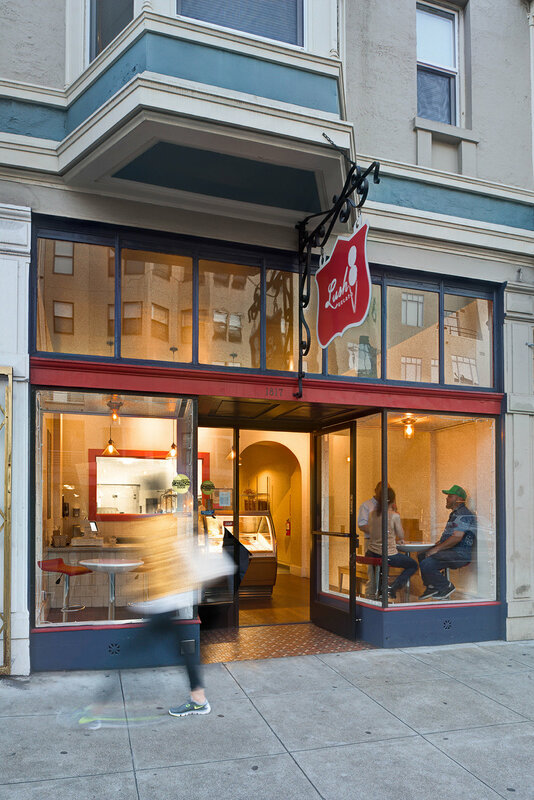 Lejarraga Studio renovated an existing commercial space in San Francisco for a new gelato cafe and factory. 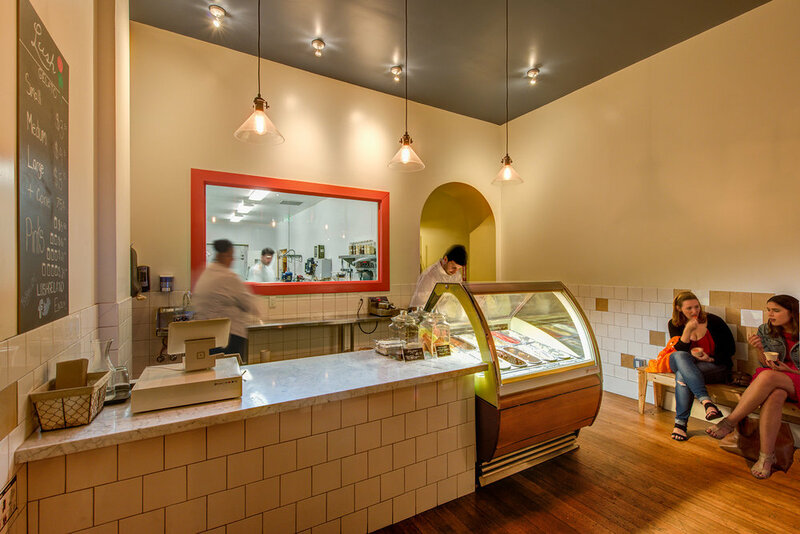 We worked closely with the owner to design the cafe and factory (visible through window) for ease of gelato processes, delivery and service. 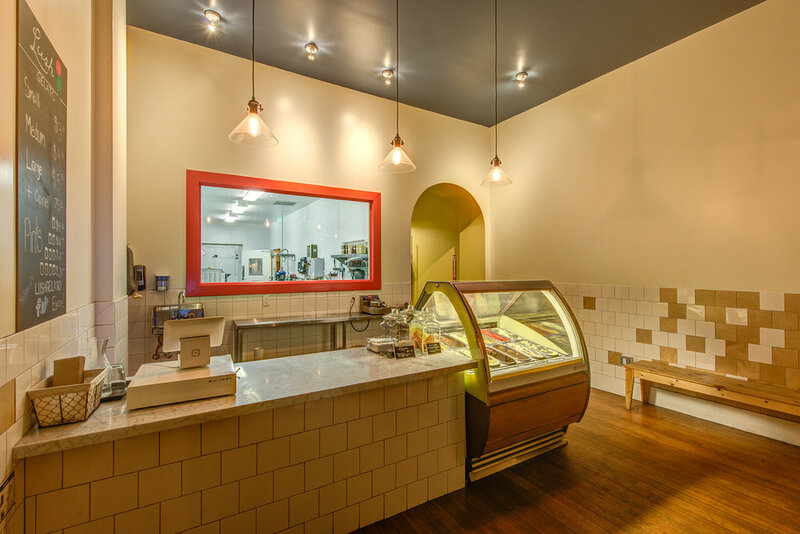 The site supplies gelato for 3 other Bay Area stores as well as multiple restaurants. The "from-scratch" factory was designed to accommodate multiple machines including a pasteurizer. The cafe is an intimate, welcoming space with pendant lighting, marble counter, and a unique blend of wood and porcelain tile that creates patterns along the wall.